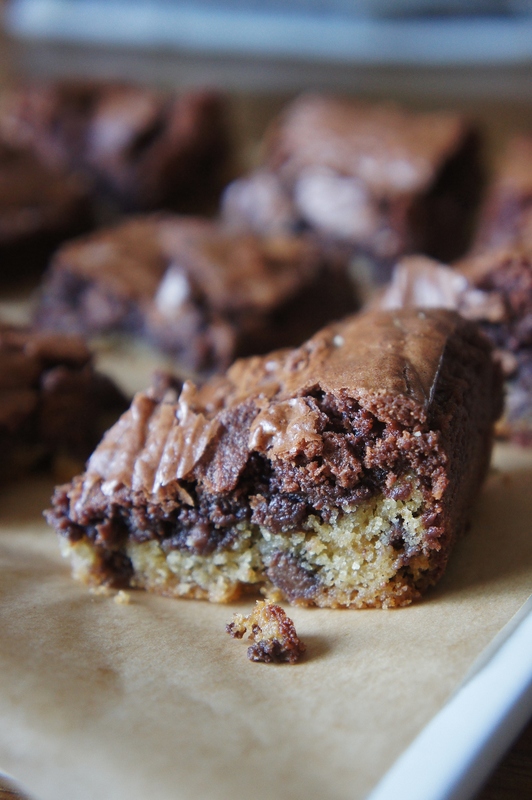 Soft baked chocolate chip cookie topped with gooey rich brownie… sound good? 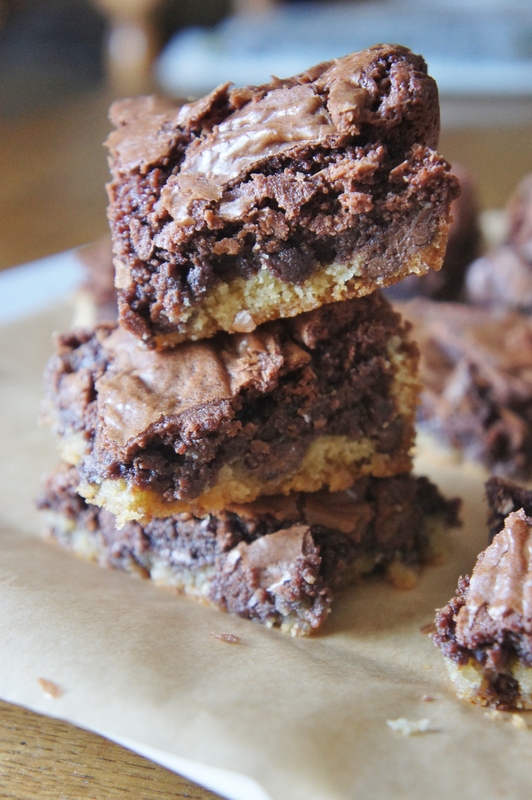 This recipe is fun, easy to make and just damn right naughty! 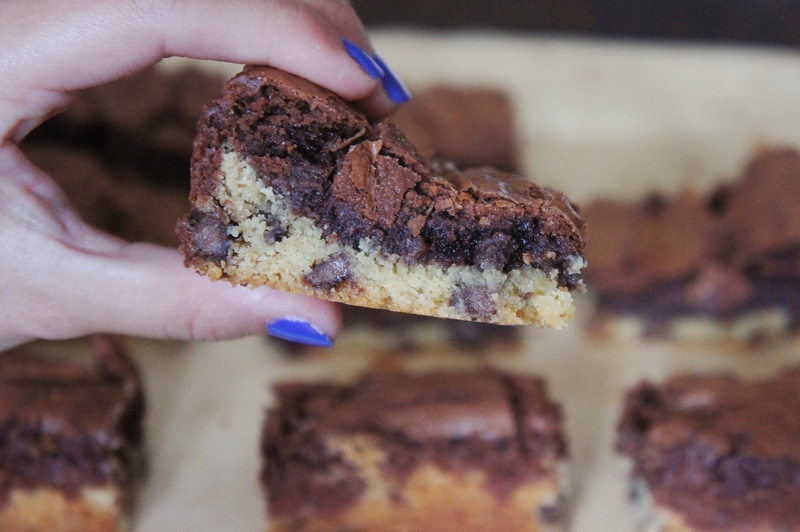 You start by squidging a layer of my chocolate chip cookie dough into a pan. Then pour my tried and tested brownie recipe on top, level off with a knife and finally, pop it in the oven for 35 minutes. Preheat the oven to 180°C and line a 23 baking tray with greaseproof paper. 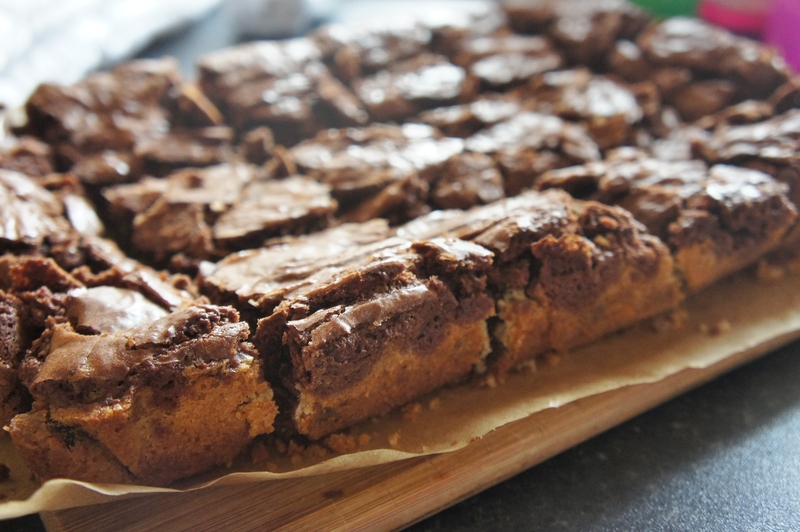 Take your bowl of cookie dough and press it into an even layer at the bottom of the baking tray – as shown below. 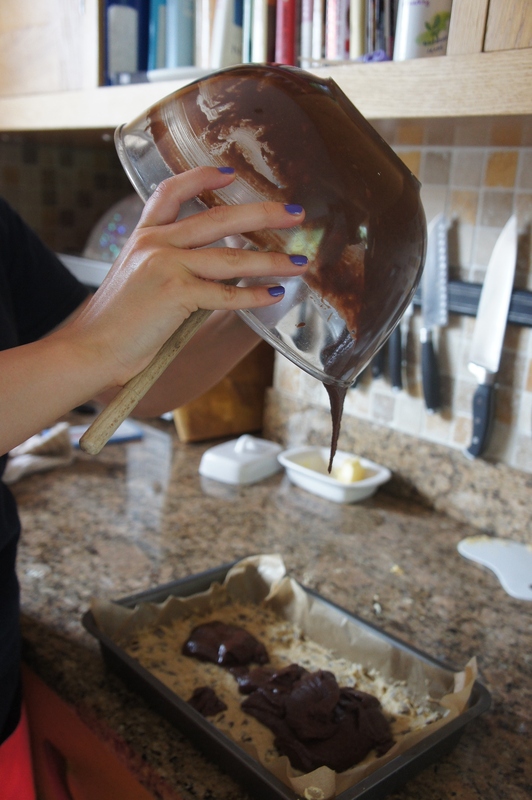 Now take your bowl of brownie mixture and pour it over the cookie dough, use a knife to spread it out into an even layer – as show below. 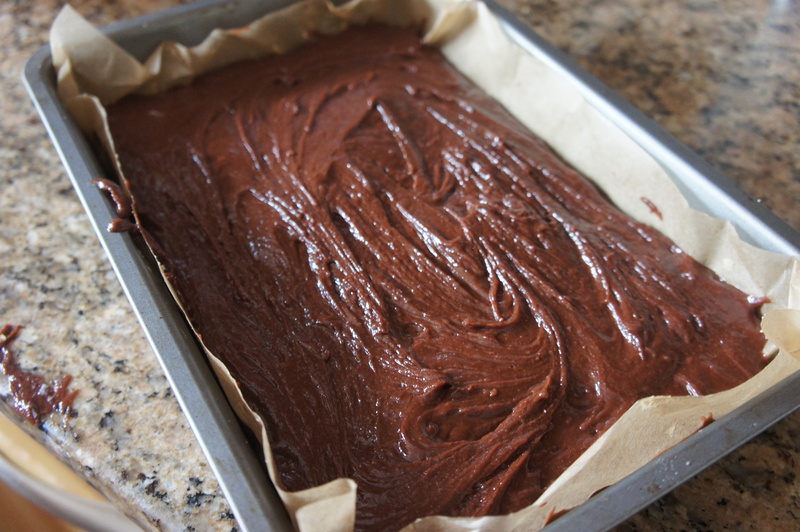 Pop the baking tray in the oven and bake in the oven for 35 minutes. The top should be lighter in colour and beginning to crack, insert a toothpick into the centre and if it comes out only slightly chocolaty, remove from the oven and leave to completely cool. Once cooled, remove from the baking tray and cut into 18 stacks. Serve cold as a quick treat or warm with ice-cream for an indulgent dessert.